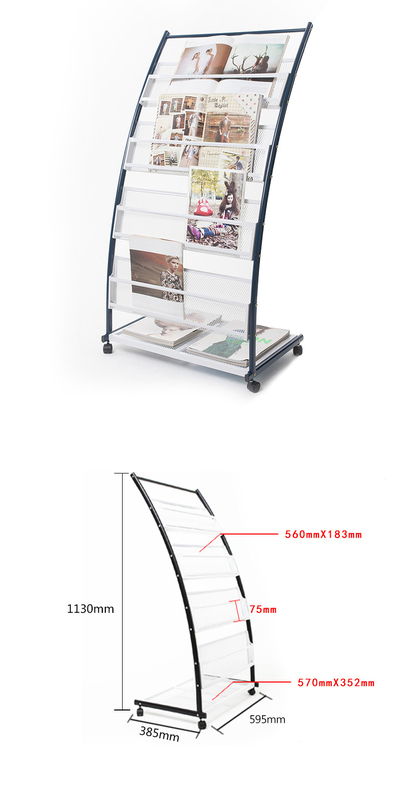 This metal magazine newspaper rack can be used to store magazines,newspapers and leaflets. It has four castors,which can move easily. There are two size for your choose,if you have other requiremnets,pls let us know,we also provide OEM and ODM service,if you can provide more details to us,our designer can design for you. Formal quotation we will send to you after you confirm the drawing. 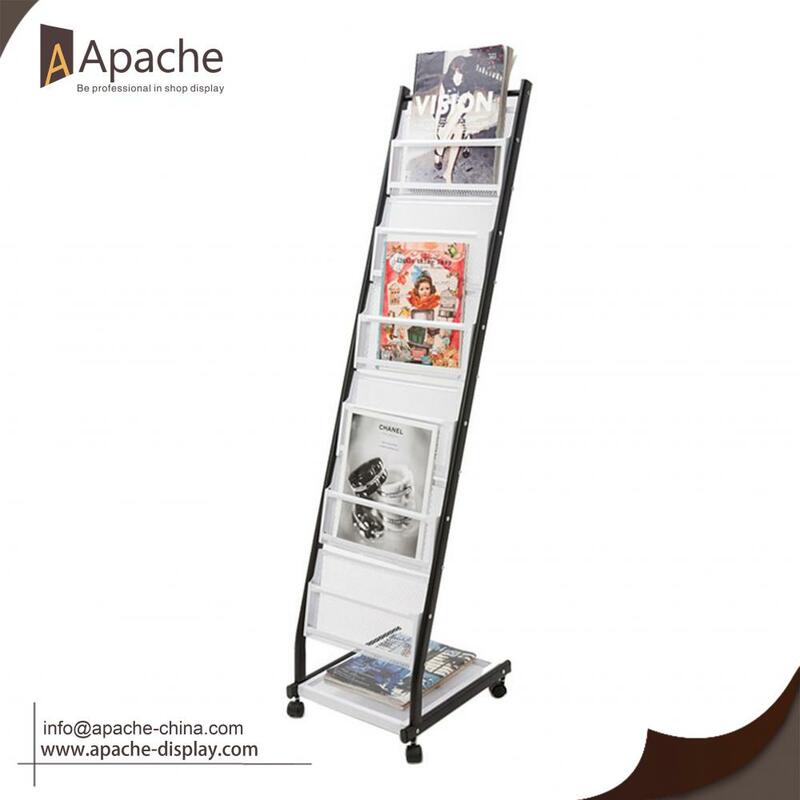 Looking for ideal Metal Magazine Rack Manufacturer & supplier ? We have a wide selection at great prices to help you get creative. 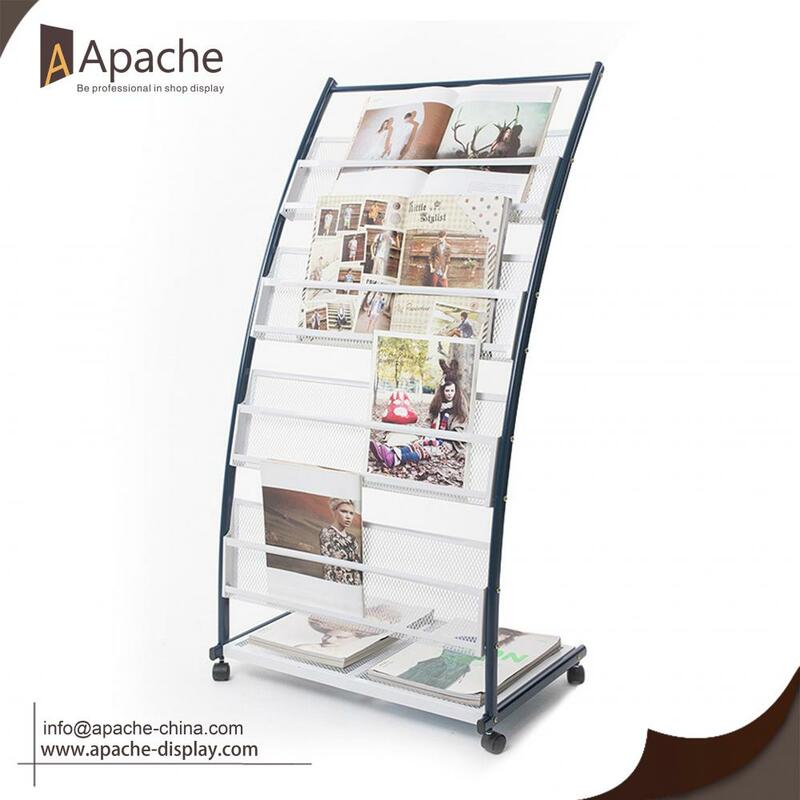 All the Newspaper Display Stands are quality guaranteed. 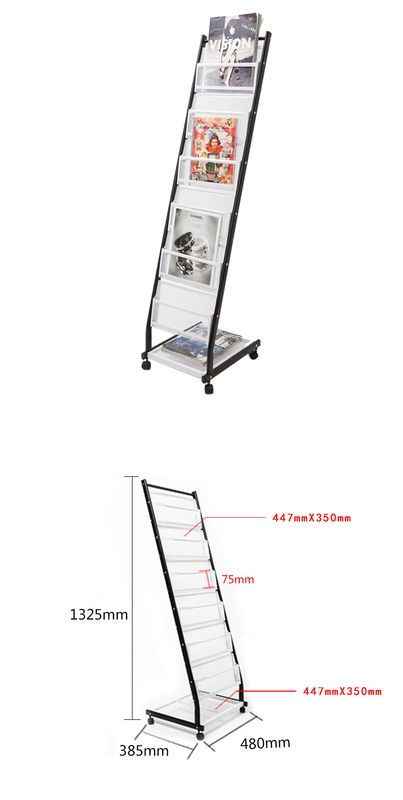 We are China Origin Factory of Metal Grid Shelf. If you have any question, please feel free to contact us.